Location: The north side of the A1 Braddan Bridge. Notes: Braddan Station was situated on the Isle of Man Railways 1873 Douglas to Peel Line. It opened in 1897 with one specific purpose. The station was used only on summer Sunday mornings in order to allow passengers to reach the Kirk Braddan Parish Church which held open air services. would return for their passengers at the end of the church service. The station closed with the line on the 13.11.1965 only to re-open again on 3.6.1967. 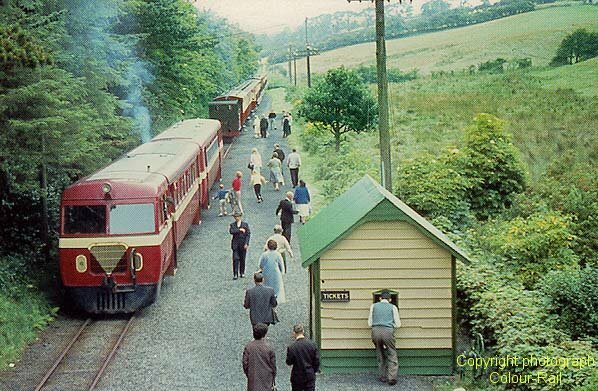 Braddan closed permanently along with the Douglas to Peel line on the 7.9.1968. 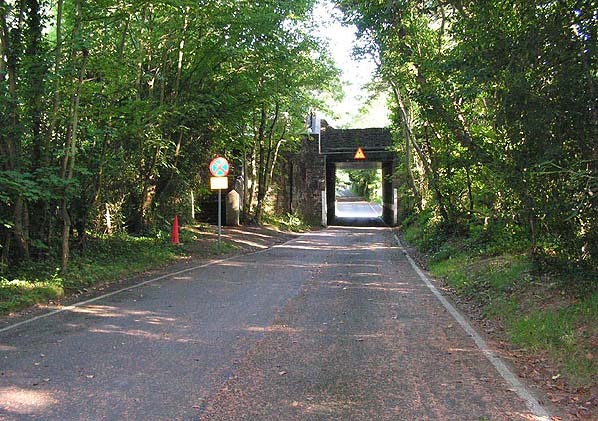 The track through Braddan was lifted between 1974-5. Today a footpath and cycleway passes through the site. 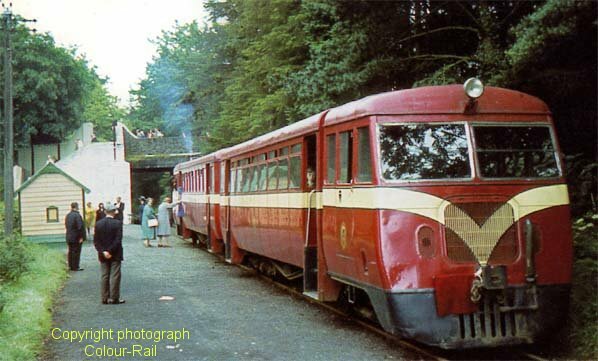 Ex County Donegal railcars at Braddan Halt with a special taking passengers to an open air church service at Braddan in August 1964. Braddan Halt in August 1964. This special was taking passengers back from an open air church service. Two trains from Douglas were coupled together to form this return working. Braddan Halt looking south in August 2006. Taken from a similar viewpoint to the top picture. Note the access steps (painted white) in the top picture, these can still be seen in the 2006 picture.